A Composite Drawing of Nathaniel Lynch. Image available on the Internet and included in accordance with Title 17 U.S.C. Section 107. LYNCH, NATHANIEL (?–1837). Nathaniel Lynch moved to Texas from Missouri in 1822. As one of Stephen F. Austin's Old Three Hundred colonists he received title on August 10, 1824, to a league of land in the area that became Harris County. In 1825 Lynch was in a dispute over land boundaries with James Strange. The census of March 1826 listed him as a farmer and stock raiser aged between twenty-five and forty. His household included his wife, Fanny, three sons, a daughter, and two servants. The settlement that grew up around his headright and steam sawmill at the juncture of Buffalo Bayou and the San Jacinto River was called Lynchburg. On February 1, 1830, Lynch presented to the ayuntamiento of San Felipe his application for permission to operate a public ferry. On September 5, 1831, the ayuntamiento fined Lynch for selling merchandise and liquor without a license and ordered the fine collected on November 7, 1831. The General Council in November 1835 appointed Lynch second judge of the municipality of Harrisburg. He petitioned the ad interim government for permission to transact business at Lynchburg in May 1836 and was listed as postmaster there in October of that year. During the Runaway Scrape fleeing Texans congregated at Lynch's Ferry, which lay on the principal land route between south Texas and the Mexican border, in an effort to escape the approaching Mexican army. When Lynch began charging a higher toll, President David G. Burnet threatened to seize the ferry for government service. Lynch died on February 17, 1837. His widow later married Martin Hardin. June A. Begeman, "Lynchburg, Cedar Bayou and Morgan's Point Ferryboats: Historical Highlights," Touchstone 7 (1988). 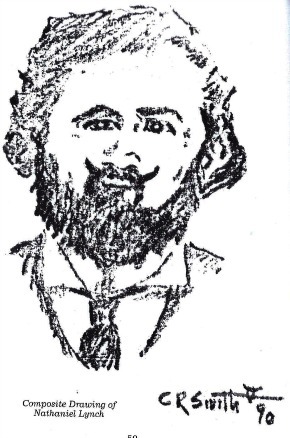 Andrew Forest Muir, "Humphrey Jackson, Alcalde of San Jacinto," Southwestern Historical Quarterly 68 (January 1965). Marilyn M. Sibley, The Port of Houston (Austin: University of Texas Press, 1968). Vertical Files, Dolph Briscoe Center for American History, University of Texas at Austin. Handbook of Texas Online, "LYNCH, NATHANIEL," accessed April 20, 2019, http://www.tshaonline.org/handbook/online/articles/fly05. Uploaded on June 15, 2010. Modified on July 31, 2017. Published by the Texas State Historical Association.